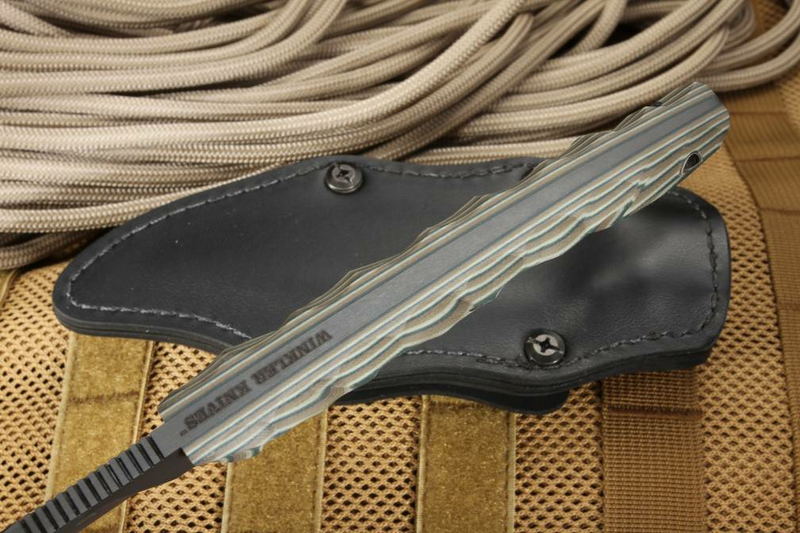 If you're a survivalist, then you need the Winkler Pathfinder knife; the perfect tool for both utility and tactical purposes. 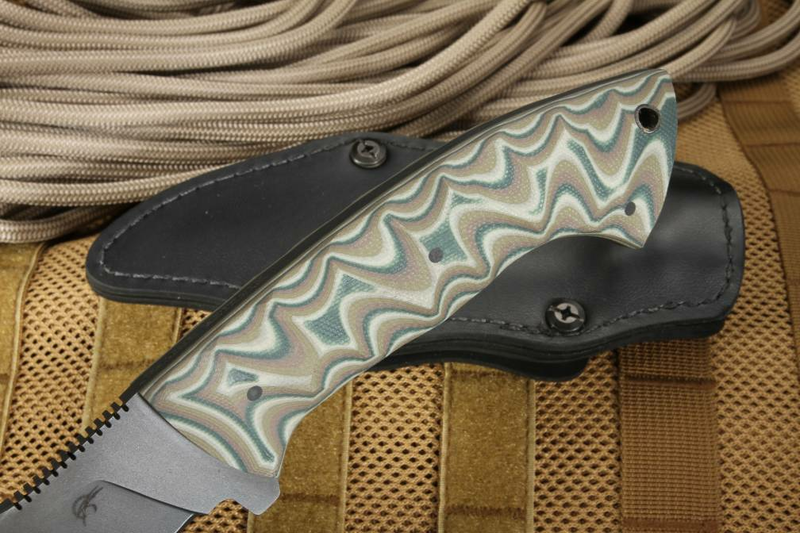 This fixed blade knife is part of a popular new series designed by Jason Knight for Winkler Knives. 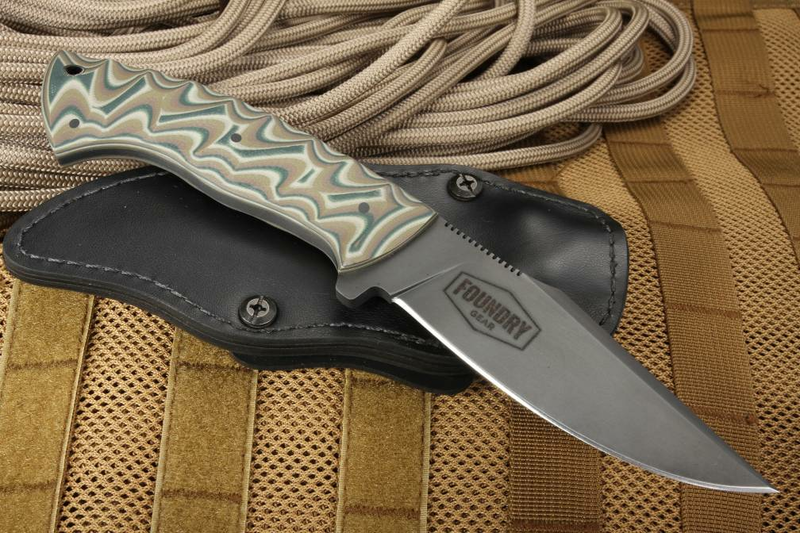 Entirely American-made by one of the most trusted makers of quality edge tools, this knife will not let you down. With a blade length of 4.5 inches and a 5.25-inch hilt, the knife is conveniently sized for easy transport but large enough to handle any job. The belly of the knife curves to a sharp point, making it the perfect multipurpose tool for cutting, slicing and puncturing. 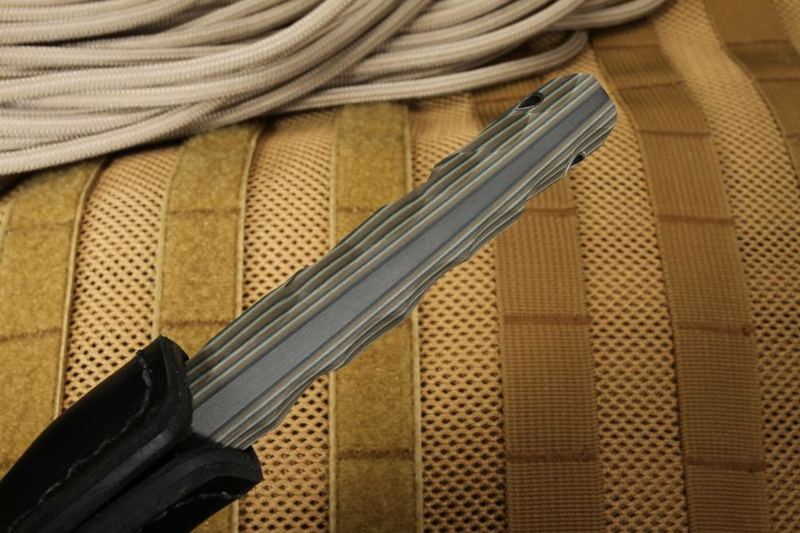 The CPM 3V steel blade is known for its strength, hardness, and edge retention, which means it can handle the toughest of jobs and rarely needs to be sharpened. The no-glare finish gives the user an added tactical advantage when stealth is required and prevents the sun reflecting into your eyes. In order to create the no-glare finish, the steel used in the blade is not stainless but is coated and will wear with use, creating an antique appearance or patina. Remember to clean and oil the blade after each use. The .205 inch thick blade gives it the lateral strength required to twist and pry open boxes or cases, while the sharp edging gives it the ability needed to cut anything cleanly. Thumb index file work on the top of the blade gives your thumb a flat resting place when you need to choke up on the knife for work or combat purposes and prevents your thumb from slipping when moisture is present. The lanyard opening at the end of the contoured handle allows you to secure the knife when in use, or hang it for easy access. Sculpted multi camo pattern G-10 looks and feels amazing. 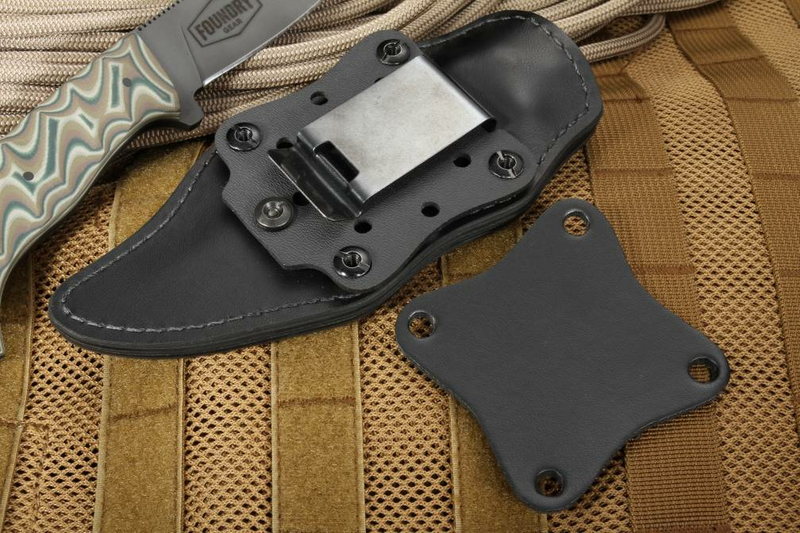 The knife comes with a heavy-duty, Kydex sheath with a leather cover, felt lined to keep the blade protected and designed for multiple carry options. It can be worn vertically or horizontally, for a right- or left-hand draw using the spring steel belt clip. 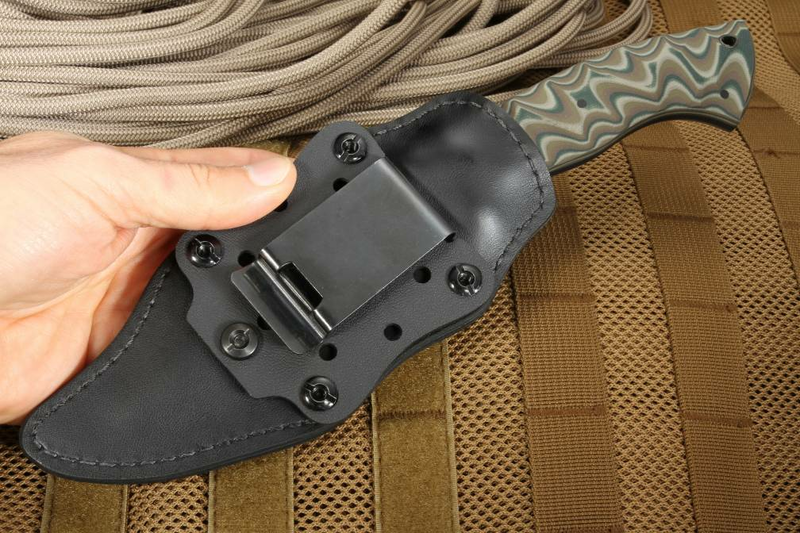 More information about Winkler Knives: Winkler Knives custom manufactures high quality tactical and rescue operation tools. 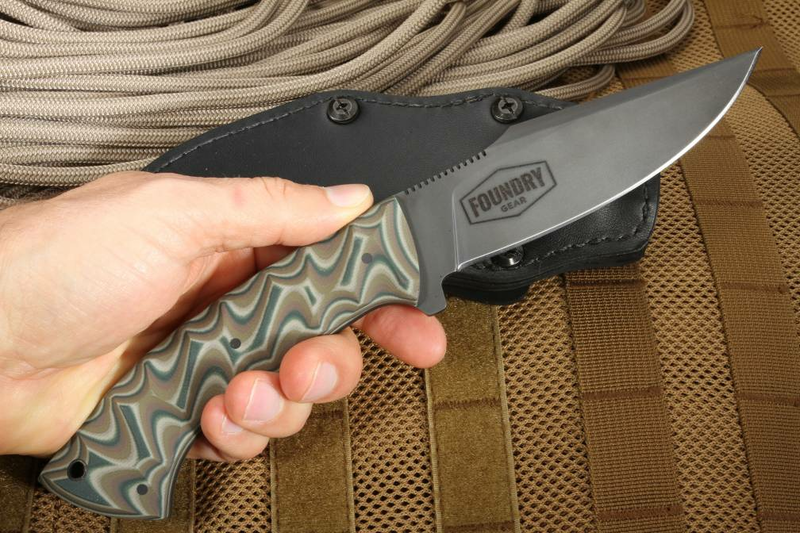 Since 2004, the company has provided Team specific knives and axes to some of America's elite fighting forces. Operating in Boone, North Carolina, Master Bladesmith Daniel Winkler and his longtime partner/wife Sheath Maker Karen Shook employ a team of artisans and craftsman who take pride in crafting edged tools and carry systems that meet the standards of professionals who rely on these tools for their lives. 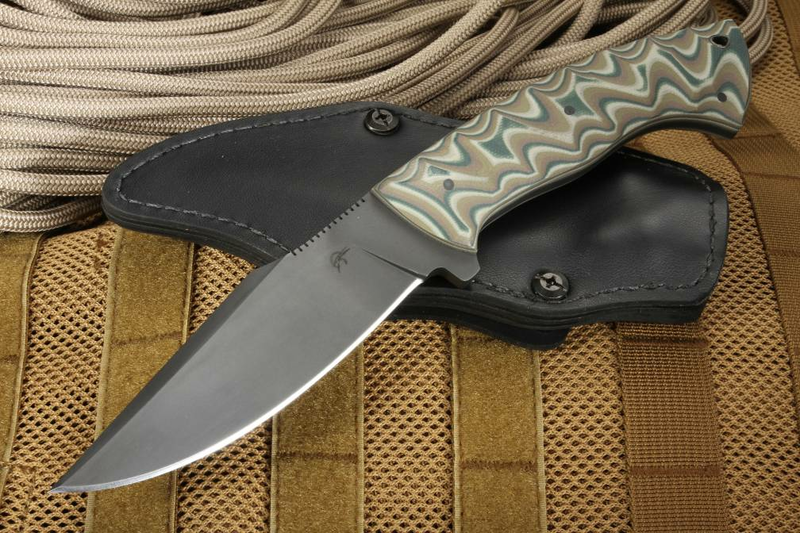 More information about Jason Knight: Born in Charleston, South Carolina, Jason Knight discovered the need for a dependable knife during his childhood explorations of nearby swamplands. Starting in 2001, he attended the Bill Moran School of Bladesmithing and after graduation jumped into full-time bladesmithing, receiving his ABS Mastersmith in 2007. In 2017, he was a judge on the History Channel's competition show, "Forged in Fire." A renowned Master Bladesmith known for his love of a beautifully shaped recurve blade, Jason joined Winkler Knives in January 2018, to add his enthusiasm and extensive knowledge of knife design and bladesmithing to the team. The first time you hold this blade it feels like you were born with it in your hand. I love it when a company is this good at what they do.